Never owned a pair of Kickers. The 1970s French brand that blew up in 80s Britain, has been an on again, off again presence in UK style circles since. They’ve never got a full grip since their ‘casual’ heyday, popping up occasionally with a re-launch or an under the radar colab. I saw a dude in a classic navy pair on the tube last week – part of me has always found them a bit frightening. They’ve always had a bit of stabby-stabby, flick-knifey, agro-monkey boot vibe for me. And as a confirmed coward, I never wanted to be confused for a bully boy and dragged off for Droog treatment down the sanatorium. That said, these are a different kettle of ruffian. Strictly no alla violenza, these Kickers have been poncified by Baartmans and Siegel, an ex-London College of Fashion duo who now deal in ‘wearable luxury’. I’m a bit on the fence here, but I think I’m leaning towards digging them. 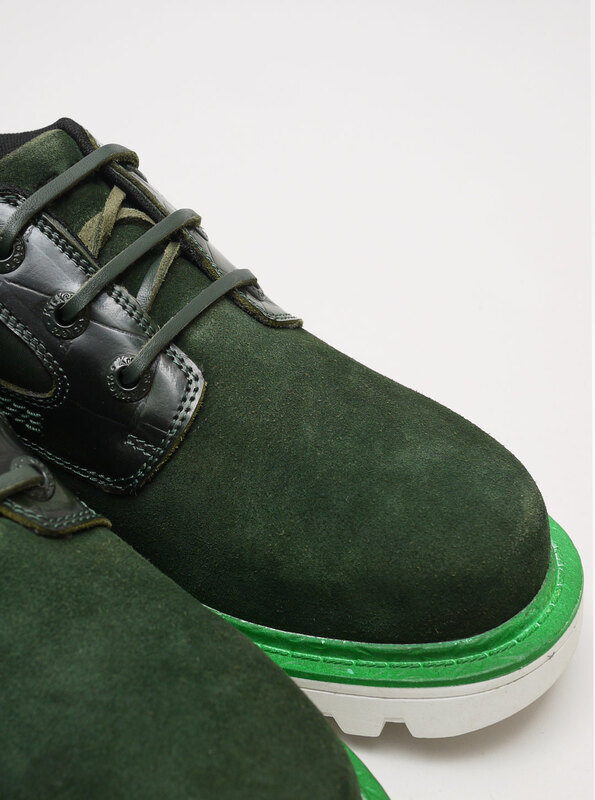 They do blue and green colourways over at Present and they come in a boot and a shoe. it’s green shoe all the way for me. 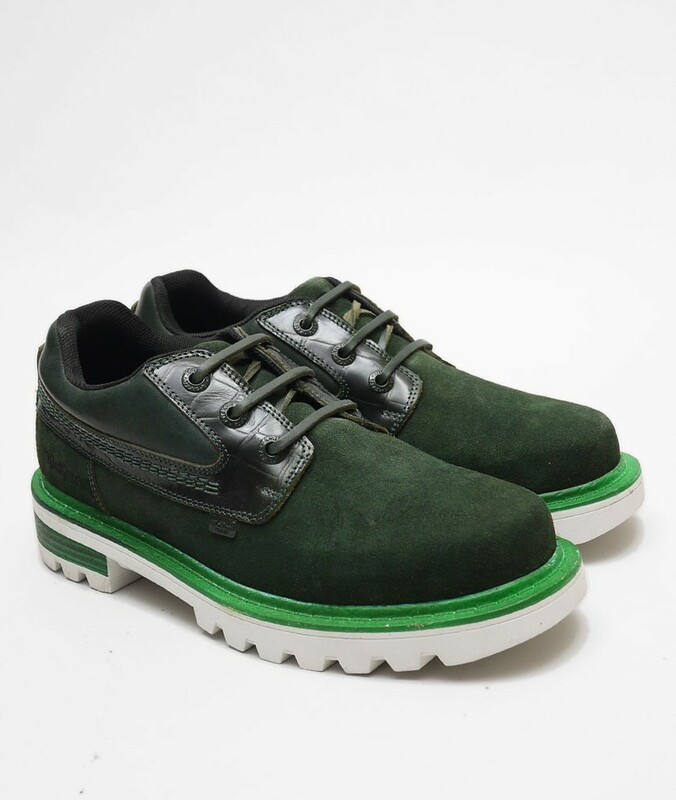 The white sole is flyness, while the Mark McNairy style bright welting and the leather off-setting the swede also wins big. For 110 nuggets, they’re a steal. But not a literal steal you understand. A sensitive bro like me could get into troubs for that.